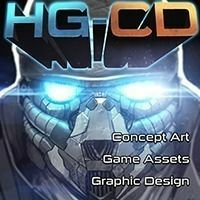 I'm a digital artist from Canada who also enjoys game design and programming. I'm really drawn to hand-painted aesthetics and I think that's where most of my inspiration comes from in terms of style. My goal with each item is to imbue it with it's own personality and story.